I was invited to attend this year's BGTW Awards at The Savoy in London on 1 November - attended by top travel industry representatives. The dinner and the evening was sponsored by the Development Foundation of Armenia and the champagne reception by Pas-de-Calais-Tourism. The evening was a great opportunity to meet other travel writers, journalists and bloggers. It was great to meet travel and fashion writer Bonnie Rakhit, a former fashion editor and now a freelance fashion stylist and writer. I have admired Bonnie's work and her blog for a while (thestyletraveller.com) so it was nice to finally meet her in person! 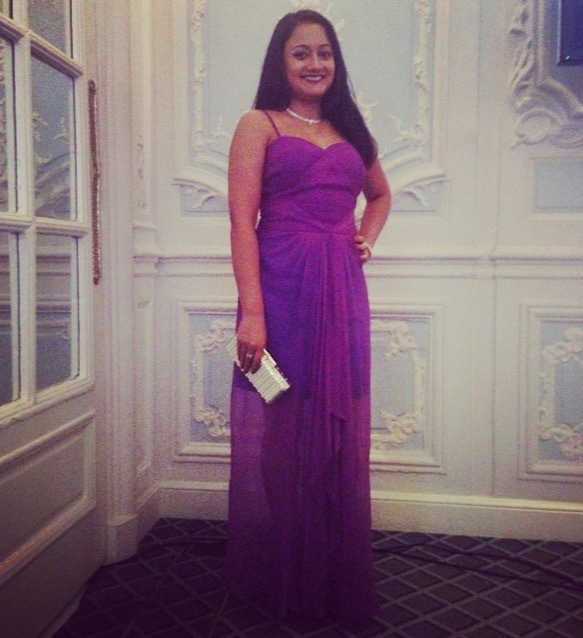 As the event was a formal one, I decided to wear a purple dress I bought last year whilst I was in Thailand. I don't own many floor-length dresses, but this one I had especially made for me so it was a good opportunity to wear it again. 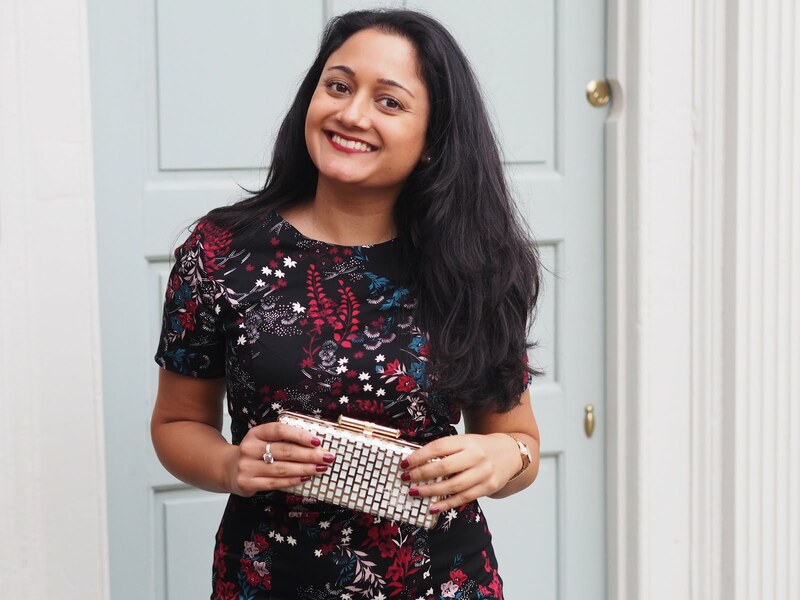 I paired this with jewellery from Jon Richard and a darker shade of lipstick to what I usually wear.